In a normal port operation, yard cranes are used to move containers from one location to another for import, export or relocation purposes. In order to locate the positions of containers, a database is set up in the office server to store the current locations of existing containers within the yard. Whenever the Rubber Tyred Gantry (RTG) crane operator moves a container around, the database has to be updated via a program installed in the Vehicle Mounted Terminal (VMT) fitted to the crane. This requires the establishment of a communication channel between the server and the crane VMT. The current practice is to make use of wireless networks, even though these are susceptible to attenuation and interferences in rugged surroundings as in a port. This paper describes and explores another alternative, that of using 2G/SMS for short messages and 3G networks for real-time scenarios. These methods are more reliable as major telecommunication service providers normally expend substantial resources in infrastructure development. They also provide a cheaper alternative in terms of reducing maintenance expenses. In the face of globalization and increased trade activities, port operations are becoming more hectic. To cope with the increased activities, movement of containers within the port needs to be as fast as possible. 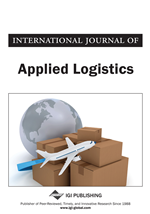 Current port systems around the world make use of increasingly sophisticated technology such as GPS, RFID and small wireless sensory networks (Abbate, Avvenuti, Corsini, & Vecchio, 2009) to track the container movement process. The MOCONT system helps to track the container location with the help of GPS technologies and Dead Reckoning System (Bozzo & Derito, 2001). Algorithms have also been devised to optimize resource allocation and operation scheduling. Yu, Lu, and Xi (2010) proposed a two-phase framework for container yard planning. The objective of these advanced technologies is to locate the container, and move it in the shortest time. The ensuing automation system helps to improve the efficiency of port activities and also enhance the competitiveness of the port terminal. MES Japan, RBS Australia and Navis USA are three well known suppliers of Container Terminal Management System. MES provides the optimal system available by configuring sub-systems and modules to match container terminal of various scales (Mitsui Engineering & Shipbuilding Co. Ltd, 2007). RBS uses Object Oriented Design and true Client/Server implementation on reliable Open Architecture operating systems such as SUN Unix, Linux and Window servers (Realtime Business Solutions, 2007). The container terminal operating system (TOS) from Navis ensures the long-term success of a terminal by being efficient, adaptable, cost-effective and scalable. TOS is equipped with the capabilities to coordinate and automate the planning and management of container and equipment movements in complex business environments (Zebra Enterprise Solutions, 2010). Drawing on the experience gained from multiple implementations worldwide, the ongoing developments in Navis container and general cargo terminal operating systems, advanced applications and marine telematics provide operators with the flexibility to deal with changes in the industry. In normal daily port activities, the port company will receive a list of containers arriving and leaving the port. The port planners will carry out planning that involves moving the containers in, out, or within the port. After this planning process, the planners will start to issue work orders at their PC terminals, with the work orders being queued up at the server end. When a Rubber Tyred Gantry (RTG) crane connects to the system, its share of work orders will be sent from the server to the crane. Upon completion of the work orders, the server database is updated with the latest location of the containers. This system helps to keep track of the container location, which is important for the timely retrieval of containers. Some of the possible related tasks are highlighted below. By utilizing the current location field in the work order, the crane operator can locate the container expediently. Note that after the crane operator has successfully moved the new container to the desired location, the database will need to be updated with the new yard location using a Vehicle Mounted Terminal (VMT) installed in the crane. Besides this updating, the crane operator can also request container information from the server by issuing a request. This facilitates the operator in the shifting of containers throughout the yard. Operator can also reject a work order if the container cannot be found (as in cases where there are problems with database integrity or operator entry errors (Tang & Ma, 2008)) or if the crane has broken down and can no longer service the work order. The typical interaction between VMT and database server for a container tracking system is shown in Figure 1.